Starting off with "Not the Nine O'Clock News", Howard Goodall has provided music for a steady stream of TV shows of the anarchic humour variety. Many of them seemed to feature Rowan Atkinson too, with the four "Blackadder" series following closely behind. Probably at the time of the first series, no-one would have suspected that it would continue as it did. 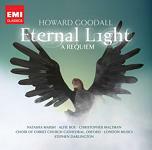 Goodall took the original theme song, and arranged in in different ways to suit the period in which each series was set, from Elizabethan through the Regency period to the trenches of WWI. Blackadder and Baldrick were reunited for a special written for the Millennium Dome so again we had the opportunity for another arrangement of the theme tune. Then there were numerous series of "Red Dwarf" (which has now moved to the "Dave" channel along with Goodall for Series X), not with Atkinson this time but with a similar sort of British humour. Then there were further series with Atkinson in the shape of "Mr. Bean" and "The Thin Blue Line". The theme for "Mr. Bean" is suitably strange to match the weird introductory segments, and "The Thin Blue Line" is a humorous send-up of the plodding antics of the boys and girls in blue (or black!). Bean went on to super-stardom in a movie of that name, and the Bond spoof "Johnny English" also featured Atkinson. Although mostly scored by Edward Shearmur, the theme was co-written with Goodall. When Howard Goodall is not writing TV themes and stage musicals, he also does much to promote music on the small screen. First he presented the non-fiction series "Choir Works" series which looked at styles of singing across the globe including Gospel choirs in the States, and singing traditions in Africa and Eastern Europe. A few years later he then presented "Big Bangs" which recounts the major events in the history of music which have shaped and accelerated its development. The story of these major turning points was expanded by Goodall in the book to accompany the series. He has also presented an edition of "The South Bank Show" looking at the state of music education in the UK today. In 2004 Goodall presented a television series called "Howard Goodall's 20th Century Greats" and the composers covered in the series include John Lennon and Paul McCartney, Cole Porter, Bernard Herrmann and Leonard Bernstein. In 2006 Goodall was back on Channel 4 presenting a new series called "How Music Works". This looks at the key features of music regardless of whether it is Classical or Rock music, including Melody, rhythm, Harmony and Bass. Although intended to be informative and educational, no doubt the presenter will also make it fun and enjoyable. It is clear from all these series that Howard Goodall is both knowledgeable and extremely passionate about a wide variety of music. See the following Channel 4 microsites about the series: Howard Goodall's 20th Century Greats and How Music Works, and also check out Howard Goodall's own website www.HowardGoodall.co.uk for more details about the presenter. 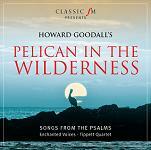 When he is not presenting on television or writing TV themes, Goodall is writing music for the theatre. 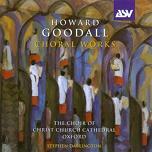 His musical "The Hired Man" which he wrote with Melvyn Bragg in 1984 has been recorded on a double album available at Amazon.co.uk or Amazon.com, and "Howard Goodall: Choral Works" is a collection of his choral music including tracks from his Mass "Missa Aedis Christi" at Amazon.co.uk or Amazon.com. Many of the TV series presented by Goodall are available on DVD, and some of them can be previewed on YouTube: e.g. How Music Works 1: Melody, How Music Works 2: Rhythm, How Music Works 3: Harmony, and How Music Works 4: Bass. And here's a novelty video taken from the 4th DVD set where Goodall plays the Red Dwarf theme backwards for the hilarious Series 3 Episode called "Backwards": Backwards Backwards is Forwards. Series 4 is also noteable for several different versions of the Series Theme including one played on Hammond Organ (to reference one of Rimmer's favourite albums) and one sung by an "Elvis" android. Goodall's latest series as presenter is called "Howard Goodall's Story of Music" and aims to explain music in layman's terms across a wide range of genres from classical to popular. The series started on BBC 2 on Jan 25th 2013 and a book to accompany the series called "The Story of Music" is available at Amazon.co.uk and at Amazon.com. Goodall's latest project is the musical version of "Bend It Like Beckham" which has started rehearsals - see this first released video and the official website is at BendItLikeBeckhamTheMusical.co.uk. Goodall mantained his association with Rowan Atkinson as Mr. Bean when he adapted the theme from Vangelis' "Chariots of Fire" so that Mr. Bean could play it along with the London symphony Orchestra during the opening ceremony for the London 2012 Olympics. In addition he was one of the esteemed collection of British composers who contributed movements to the Queen's Diamond Jubilee Pageant on the Thames (also during 2012). Red Dwarf - noted for its varied and inventive variations of the theme tune (including a Hammond Organ version and a cover by "Elvis"), the Season 6 DVD contains a feature with Goodall discussing his music for the series, and the composer has stayed with the series since its move to the Dave Channel including "Back to Earth" and "Red Dwarf Series X"
Into The Storm - though shot some years later, this is a sequel TV movie to "The Gathering Storm"
We've mentioned a number of Howard Goodall albums above. Another album we can recommend is called "Inspired". The title track has been written by Craig Ogden but the rest of the album features a mix of Goodall's music, paricularly choral works but also including some instrumental music and music from his television themes. 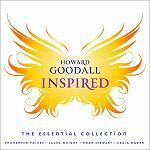 "Inspired" is available from Amazon.co.uk and at Amazon.com.